In the early 20th century, the rise of mass-manufacturing technology meant Americans had a new frontier to settle. Across the country, families participated in a mass exodus from rural farm life to an industry-centered, communal existence in growing cities. The movement from farmland to factory in Davidson County can largely be attributed to the textile and furniture industries. Between the late 1800s and the mid-1930s, there were an estimated 25 plants processing cotton and producing hosiery or furniture in the county, and the populations of Lexington, Thomasville and Denton were ever increasing in response to the industry. To support and retain the stable workforce they needed, many mill owners developed nearby land for employee housing and other amenities. A help-wanted listing for Erlanger Cotton Mills Co. in 1916 lists “new houses now ready, better than anything yet built in the South. These houses are furnished with water, sewerage and lights, all of which is included in house rent.” The ad also boasts a YMCA facility and a school. “The general definition of a mill village is a settlement that developed around one or more mills or factories, usually cotton mills or factories producing textiles,” said Catherine Hoffman, curator of the Davidson County Historical Museum. “Jewel in Thomasville and Erlanger, Nokomis and Wennonah in Lexington all offered amenities beyond housing, meaning services that addressed the welfare of the employees outside of work,” Hoffman said. The organized recreational and religious opportunities, schools and social gatherings were intended to bolster spiritual, physical and social well-being. They also helped to ease the transition for families leaving behind support systems and extended family structures for manufacturing jobs. “People need to feel like they belong,” said Yvonne Charenskey, president and executive producer for VonHenry Media, based in Clearwater, FL. Charenskey and her husband, Hank, are producing a documentary about mill life in Lexington and have been recording firsthand experiences from people who worked in area cotton mills. “Most everyone has commented on the sense of community that they felt. They weren’t making a lot of money, but they had a sense of extended family. They felt like they were all in it together,” said Charenskey. The couple originally intended to focus their documentary on Nokomis Cotton Mill, built in 1900 and located on North Church Street, where Yvonne Charenskey’s grandparents and mother worked. They realized they needed to widen their lens last summer after interviews and research left them short of detailed information about that particular mill and the people who lived and worked there. Like Nokomis, Wennonah Cotton Mills (est. 1883), Dacotah Cotton Mill (est. 1910), and Jewel Cotton Mills (est. 1913) also had clusters of company-built employee housing, stores, churches and schools. Wennonah even had its own fire department. Comparatively, Erlanger Mill Village stood apart from other villages in Davidson County as a model of self-contained infrastructure. In large part, the founders of local furniture factories and cotton and hosiery mills hailed from either Davidson County or from relatively nearby counties within the state. As Lexington’s largest and most productive textile manufacturing operation, Erlanger over time developed a unique sense of self, driven by the people who inhabited it. In many ways the mini-city operated independently from Lexington itself. Between 1913 and 1929, over 300 homes, two churches, and a series of community buildings sprawled across 85 acres of land north of downtown Lexington. There was also a YMCA, a dairy, a communal greenhouse and livestock lots, a nursery, a kindergarten, and both primary and grammar schools. An illustrated newsletter known as “The Erlanger Community” is further evidence of the breadth of organized activities and engagement between citizens. According to the National Register of Historic Places narrative on Erlanger, the newsletter covered topics such as home garden management and posted schedules for community sports and club meetings. There was also Erlanger Day which included the Miss Erlanger beauty pageant and a potluck picnic. “Talk to anyone who grew up in Erlanger and you will find a beautiful and heartwarming description of a loving and caring community. No one locked their doors, children were safe wherever they went, and all the adults looked after the kids and even admonished them when necessary. Children and youth had marvelous opportunities for sports and recreation at the YMCA, the swimming pool and the baseball fields,” said the Rev. Dr. Ray Howell III, who has made it a personal mission to study and share Lexington lore, especially the lasting effects of the city’s past as a mill town. “Lexington was a mill town for the better part of the 20th century. That definitely has an impact on who we are today in both a positive and negative way,” Howell said. He suggested that the nostalgia surrounding life in the mill villages sometimes overshadows the fact that an overreliance on employer-provided amenities meant that many families suffered once manufacturing operations began to wane in Davidson County. Even so, most who remember the presence of mill villages remember them fondly. Charenskey suggested that this is all connected to our need for community. “All of the social media are trying to create community. All kinds of businesses want to create community and that is what they had in mill towns. It was a different kind, but it’s relevant in any age. Quality of life changed because the economy has changed, but community remains the same,” said Charenskey. Show us your smarts! How much do you know about the American flag? Correctly answer the trivia questions and give us your answers. The winner of Flag Day Trivia will win a garden flag with a wrought iron stand donated by The Backyard Retreat. We have all heard the expression, “You get out what you put in.” When we put in good things, we can only expect good outcomes, and our brains are no different. The common term, “brain food” has been circulating for years, but what does that really mean? “Brain food” is believed to be beneficial to the brain, especially in increasing intellectual power. By eating certain food groups we can actually improve our cognitive thinking ability. It’s no surprise that as we age, our cognitive ability and retention decreases. However, a 2015 study researched adults age 55 and over during a 5-year span. This study analyzed the participants at the start of the study by giving them a cognitive score from 0-30. After the completion of the study, the results showed that participants who consumed the most nutrient-rich diets were 24 percent less likely to have cognitive declines. “This is a very large scale study that demonstrates that a healthy lifestyle impacts not just physical well-being and longevity, but also cognitive well-being,” says James Becker, a professor of psychiatry, neurology and psychology at the University of Pittsburgh as reported on Today.com. Exams and year end testing is right around the corner. Feeding our brains can be one of the most important things that we do to keep our minds sharp and maximize our potential. The youth of today need brain happy foods to keep them going, too, and it’s critical for their development. What kids eat can affect their focus and cognitive skills. Putting the right foods into their bodies is the best way to give our kids the tools they need to absorb all the learning opportunities they receive. Try some of these great “brain happy” food recipes to increase your cognitive function! Preheat oven to 400°F. Spread oats, wheat flakes and seeds (or nuts) on a baking sheet. Bake until fragrant and starting to brown, about 10 minutes. 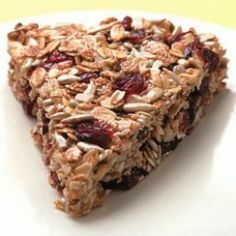 Immediately pour the toasted oat mixture into the honey, add cranberries and salt and stir until completely coated. Quickly press the granola into the prepared pie pan using a heat-resistant spatula coated with cooking spray. Let cool for 30 minutes. Cut into wedges and transfer to a wire rack to cool completely. Melt the coconut oil in a saucepan placed over a medium-high heat. Add the shallots, carrots, cauliflower, and bell pepper. Cook until the vegetables are slightly soft (8 to 10 minutes), stirring frequently. Add the turkey to the vegetables and cook until the meat is cooked through (6 to 8 minutes). Add the chicken stock, diced tomatoes. Season with salt and pepper to taste. Bring the soup to a boil. 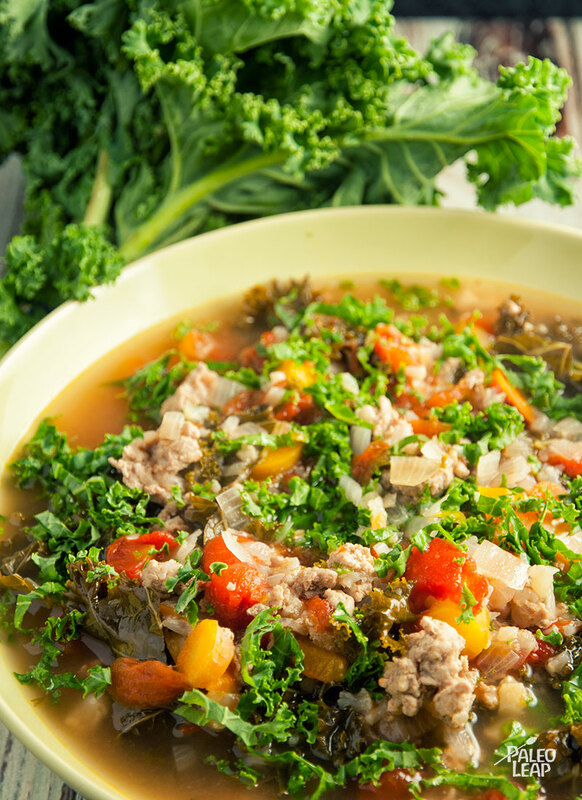 Stir in the kale, reduce the heat to low, and let it simmer, covered, for 15 minutes. Position racks in upper and lower thirds of the oven and preheat to 375°F. Coat tortillas on both sides with cooking spray. Place on 2 baking sheets. Bake, turning once, until light brown, 12 to 14 minutes. Combine salmon, avocado and jalapeños in a bowl. Combine cabbage, cilantro and the pickling juice in another bowl. Process black beans, sour cream, salsa and scallions in a food processor until smooth. Transfer to a microwave-safe bowl. Cover and microwave on high until hot, about 2 minutes. To assemble tostadas, spread each tortilla with some bean mixture and some salmon mixture and top with the cabbage salad. Serve with lime wedges, if desired. Berries. Should be involved in your daily diet. Strawberries, Blueberries, Raspberries, Blackberries and Acai Berries can be eaten fresh or added into another brain healthy meal like oatmeal or smoothies. Fatty Fish should become a staple. Salmon, Sardines or Tuna are a few good examples. If you don’t like the taste of fish you can always incorporate an Omega-3 supplement, but when able to eat fish, fresh is always best! Red Wine! That’s right, Red Wine has been linked to a ton of positive research about not only heart health but cognitive function as well. Just like the healthy fats, moderation is key! One glass in the evening is all you need. Chocolate lovers dream. Chocolate made the list, but not your semi-sweet artificial kind. True Dark Milk Chocolate is what you should find. There are various kinds available but one ounce or less is all you need each day. Walnuts. These little gems contain a high amount of alpha linoleic acid, which can promote blood flow and bring more oxygen to your brain. Grab your calendar and circle four days of your week. Go ahead, circle any four days of your week during which you can schedule 30 minutes to an hour of your time. These can be weekdays or weekends, whatever is convenient for your schedule. That’s all it takes! The New Year has come and gone and you’re in the same place you were on January 15th or maybe even sooner. If you were one of those people who set a New Year’s resolution, then you’re probably in the majority that didn’t keep up with it either. Now what? Just because you missed the New Year’s resolution hype or messed up in your attempt doesn’t mean that the year is worth giving up on. You can make the choice any day to continue on your mission to feel better and make better choices. I recently started on a very restrictive diet. It wasn’t in an effort to lose weight, it was to isolate certain food groups and see how my body reacted when I removed them. Then after two weeks I was to add those items back into my diet one at a time and see how I felt. This diet was daunting! It required planning my meals daily. Many of the food groups I had to remove are in most of our everyday meals, so eating outside of my own kitchen was not an option. I would prep for my meals throughout the week but on day four of the same lunch I was completely over it! It wasn’t that I couldn’t do it; I had already made it through day three. It’s that I couldn’t wrap my head around making it throughout an entire two weeks. All I could think about was everything I couldn’t eat and how difficult planning my meals all day for 14 days was on me. So, I stopped. I stopped and ate the things that I wasn’t supposed to, which made me feel not only physically bad but mentally bad like I had given up and failed myself. I took a break from the so-called “elimination diet.” I was beating myself up over screwing up something so simple. I was mad that I didn’t have the self-control to continue and do this to feel better. I had to take a step back and re-focus. Going back to the drawing board with a clear head was now the goal. I needed to do more research, so I planned and understood what ingredients were in foods that I shouldn’t be eating. I searched endless online recipes to find some variety in my food selection. After spending a few days of wrapping my head around the diet’s limitations, I began to see the opportunities. What had once felt unattainable now became feasible. Planning a variety of meals and knowing the restaurants I could eat in and still be okay opened my eyes to the wide opportunities of this diet. Starting the diet again wasn’t nearly as hard as it had been the first time around. I was open and accepting and looking forward to the challenge. What had changed in my perception? It’s simple: preparation! During the first attempt I wasn’t prepared. I hadn’t properly looked at all the options, so my diet choices were limited and too few. After spending some time preparing and becoming more knowledgeable about the restrictions, completing the diet during two weeks became my number one goal. Another key area that improved my option to succeed was the modifications I made. Modifications were important on a smaller but very impactful level. If we needed to eat out one evening because of work schedules, then I knew the places that were available and had already prepared myself for what I could eat. Sure, I did my very best to stick to the diet, but a few modifications weren’t going to kill me. And in the end, the diet was completed! What does this mean for you and your New Year’s Resolution Fail? It’s simple. There were reasons why your first attempt wasn’t successful. Possibly a lack of planning or unrealistic expectations for success were primary causes. It could have been an attempt at a diet with poor planning or an exercise regimen that lacked design and preparation. Whatever the case may be, you’ll need to see why it failed before you can be successful. When I work with my personal training clients I always give them tools to be successful. If I only work with them for 30 minutes or an hour one day a week on one particular area then I have failed them. But if they leave from a training session with new ideas, exercises or informative information, they can continue to grow well after their time with me, advance on their own time, and be ready for our next session. Lastly, make modifications! If an exercise routine is too difficult for you in the beginning, make a modification! Jumping jacks are a great example of this idea. Many people suffer from bad knees or hips so jumping jacks are not an option for them. Instead, raise your arms and step your toes out and tap to the side. It’s the same motion as a jumping jack except it eliminates the jumping part. Marching, walking in place, quick feet, and jump rope are also good modifications for jumping jacks. When you make a modification you aren’t failing, you’re making it accessible so you can succeed. Sometimes we need a little help to get back on track and re-focus. Here is a planned four day workout for you to try. Go back to your calendar and look at the four dates that you circled. Plan to do a workout from the options below on each day that you designated and planned on your calendar. You can do this! Success wasn’t built without a plan.